St. Thomas Cargo and Ship Services, Inc. 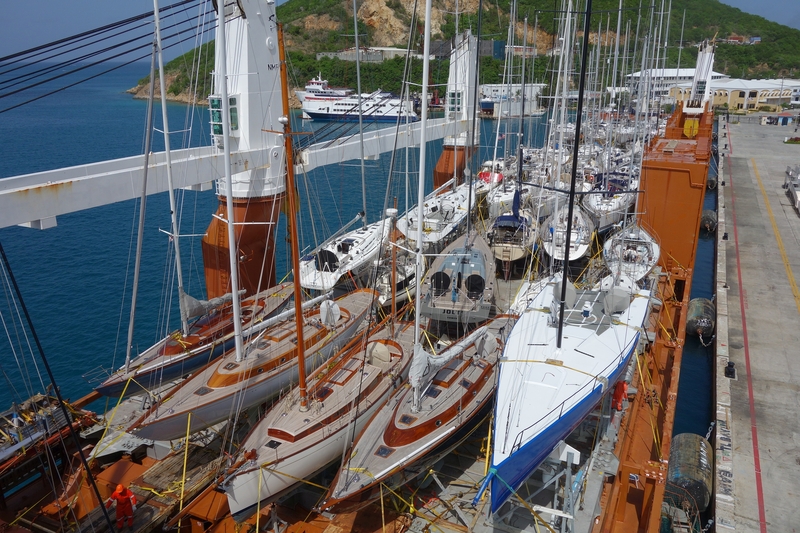 If you can’t stay in St. Thomas to load or unload your yacht or if you need assistance in moving your yacht from or to the ship, St. Thomas Cargo and Ship Services’ captains can do it for you. They can also “watch” your yacht while in a marina. All local marinas require someone physically on the island, to be responsible for each yacht in the event of an emergency (fire, storm or taking on water). If you are not a US or Canadian citizen you must have a US visa to enter the United States. If you do not have a visa you can apply on line: https://esta.cbp.dhs.gov. After you have been accepted you must enter the US on a regularly scheduled, commercial “Signatory Carrier” (plane or ferry). You will be issued a visa waiver that is good for 90 days. The easiest way is to sail to Tortola BVI, take the ferry to St. Thomas Water Front, get your visa waiver, return to Tortola and sail your yacht back to St. Thomas. Your yacht will enter or depart St. Thomas, VI. as cargo, duty free, with no additional charges to you. You do not have to submit any other documentation to Customs for your yacht as cargo. The yacht carrier will provide all documents that are required to move your yacht as cargo. Check with the Sevenstar load master to find the unloading schedule. When you arrive, at the ship’s gang way, you will be given 2 copies of your Cargo receipt. Sign one and return it to the gang way watch. Take the other one with you to clear out with customs. When your yacht is unloaded, you can take it to a marina or depart as you wish. Before you leave the USVI you must clear out with Customs. If you entered on a visa, you must turn the I-94 stub in to Immigration (same office) before departing. If the I-94 is not turned in you may not be eligible to return. When you arrive in St. Thomas, VI. you must clear in with Customs and Immigration. Check with the Sevenstar load master to see when you will load. Sailing yacht captains must disconnect the back stay before loading and reconnect it after loading. On departure from the US you must turn in or mail the I-94. St. Thomas is located in the Caribbean, and it typically gets tropically hot during the summer months (July to September). Of course, “hot” is relative because it’s often cooler in this part of the tropics than it is Stateside. Prevailing breezes and winds tend to keep the island’s heat around 30°C. Visitors come year-round, but November through April are the busiest months, coinciding with colder temperatures in the States and Europe. Atlantic hurricane season runs from 1 June to 30 November, with the highest occurrences of storms in August and September, particularly mid-September. The season affects many countries and islands in this hemisphere.